Like Sleet, I'm more a fan of the show then the fandom, so I won't be doing much. I might check EQDaily every so often, but other then that, not much. new Friendship is Witchcraft. I don't know how long it'll last before Youtube blocks it again, cause it was already blocked once 12 minutes after it was posted. That was probably my second favorite FiW, behind the Sweetie Bot episode. Because Sweetie Bot. well, KJ and I are back together as parody partners. we still need instrumentalists, so I put out a call on tumblr, but if any of you could get the word out to any musicians you know who may be willing to record the music for our parodies who aren't on tumblr, would you please direct them to this post? Double Rainboom Official Trailer Looks like we only have to wait till March 30th for a new MLP episode, even if its a fan episode. Also before anyone says anything about why this is still going while Fighting is Magic isn't: Apparently this actually got written permission from Hasbro before hand. Is there any kind of help you need other than instrumentalists? not really. I have the lyrics covered and he does the vocals and puts the finished product into a video and posts them like he did with your ultimate pony showdown. The only thing is we can't find versions of the songs without lyrics like he did with your song. but if you could somehow get the word out to people who can help, it would be appreciated. 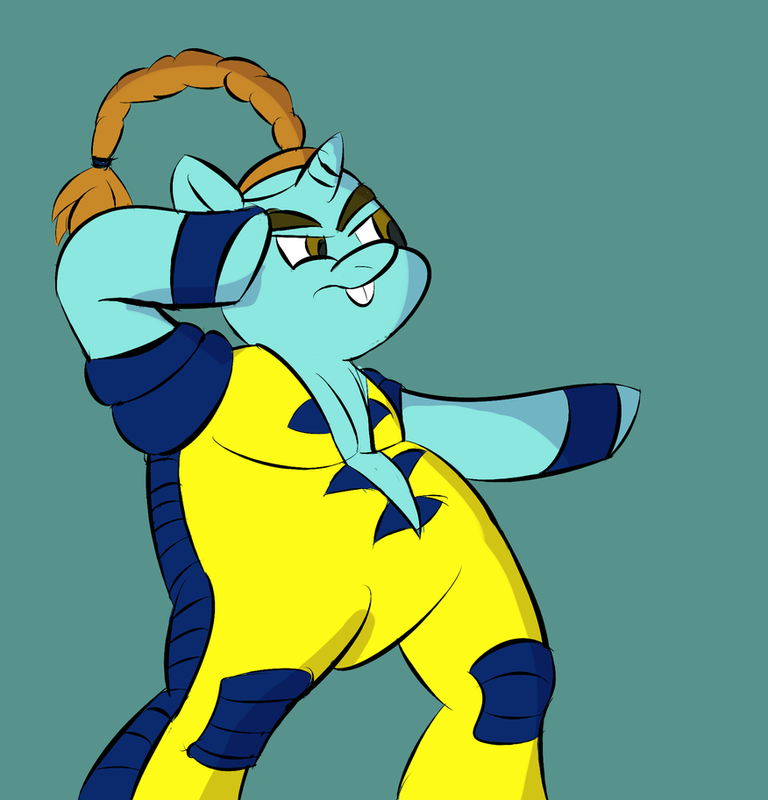 Some one challenged me to draw a pony as a fighting character. They challenged the wrong guy. I would say they challenged the right one. I just finished watching this it was ok, it was funny but not like overly so. Personally I feel the same way about FiW as I do about .MOV they are good but kind of really over rated. I think its just that I have to be in a certain mood for the kind of humor they have really and I'm not in that mood a whole lot. Edit: just posted the new chapter for my story, if anyone wants to read it. As I did so, I noticed that only one person commented on my last chapter. Do any of you have this T-Shirt. I'm 5ft 10 and weight 12 stone. Would a medium fit me? The real cause of the schism that turned Luna and Celestia against each other, and caused Luna's transformation into Nightmare Moon. Video games are tearing this family apart! don't. Some people don't like to critique things until they have more to go on, so they withhold comments until s few updates have gone by. I'm like that, cause most of my comments would end up being "awesome as usual, not much else to say" unless I don't. So if there's a way to see the views, you should ignore the number of comments. Maybe you could start posting it on FimFiction? You don't have any of your recent stuff on it, and I think it would be worth a shot. Oh, and let it be known that I read all of your stuff, I just don't generally comment because I don't really have anything to say. Try as I might, I cannot find a single thing wrong with it, so I have no comments to make it better and the only other thing I could think to say would be "Great job!" every single time. It wouldn't exactly mean much after the third of fourth saying the same thing. Well, I just watched the latest episode of Friendship is Witchcraft. Yeah... I think I'm done with that show. There are funny jokes now and then, but it's utterly ruined by their version of Twilight. I don't think Twilight ruins it at all because that's the entire point of it. She's not like what she is in the actual show and that makes it interesting for me. Best scene in the FiW series yet. Hands down. Why do I not recall the "Rocking everywhere" part of that? All I remember is "booty booty booty booty"
No no, I get that Twilight being nothing like her actual cartoon self is the point. What I mean is, it's a terrible point. She's full of herself. That's the whole joke. Worse, they made a point of saying it just about every single minute. All I wanted throughout that wedding episode was to freaking punch her in the face. My mind kept flashing back to Family Guy. I'm guessing they had a quick blurp about MLP and did what they usually do to stuff like that? What? No, I meant the latest episode of Friendship is Witchcraft, specifically Twilight's antics, made me think of Family Guy's mean-spiritedness and tendency to drive a joke into the ground. But meh, that's just how I feel. Oh. Well I enjoy Family Guy the few times I do watch it, so maybe that's why I liked it. I kind of agree they drove jokes into the ground, but really for me the one thing I hated about the episode is they went with the single most obvious joke to drive into the ground though the whole episode. Its not the joke itself I hated it was the fact that it was so obvious I felt like they didn't really try to come up with something original. That part I will admit was hilarious. Edit: Final Panel Writeup Some things to take away from this IMO Tabitha brings up the Fluttershy becomes a Dragon episode idea again so unless its a joke maybe we will see that for season 4, and Tara said Yes when asked if Twilight will live a long time take that as you will to the question of Immortality or not. Edit 3: More Comic covers I really love the Rainbow Dash Micro Series Cover it looks epic. I'm also loving the heck out of battle armor Shining and Cadence they look amazing. In fact I now require more characters in Armor. It's weird how the comics can get away with so much more, isn't it? I mean, how many kids would recognize that cover as a homage to Frank Frazetta? Lauren Faust is officially part of Mane6 now. They're going to adapt what they have to a new IP developed by her, and so the game will now be completely theirs. they can put out for free and enter it in tournaments and such and no one can stop them. So good for them. This is apparently the official artwork for the spinoff Equestria girls. I wound't really mind, but the design (like the short skirts) are really crappy. Oh my gosh those designs are horrendous. That is literally the worst possibility my mind came up with. Why do Twilight and Rarity not have their unicorn horns but the pegasus wings are still around? Why do they have their cutie marks on their freaking cheek AND their clothing? Why do Applejack and Rainbow Dash look fashionable? Why the stupid skirts? Why the big boots on anyone but Applejack? Why does their skin color match their old coats? Why why why glnbrouvbwgvabf! Oh well. At least we have that whole Lauren Faust being awesome thing to cheer us up. Well admittedly the stock vectors for their pony forms are pretty ugly as well and the show versions look much better. However yeah these look really bad, what in the world is this spin off even going for exactly? Why are they anthro why not just regular humans? These feel like more concepts rather then something final, in fact I like the original leaked vectors much better then this. I recall one source saying Hasbro was aiming this spinoff for older girls, which is incredibly insulting if true. So, what, older girls like makeup and cheerleading and gossip? That's what these designs scream out to me, that we're reverting back to those old and terrible stereotypes about what it is girls like. Humanoid ponies make me twitch after news/rumors of that spinoff. I know that part I meant like how is this "Human World" going to work exactly? Are the Mane 6 going to be the only Anthros? or is everyone? I thought this was going to be a pure human spin off now its looking more like a Furry Spin off. I'm still going to give this a chance but man is this thing is getting stupider. Edit:Comic Preview That guy from Temple of Doom, Pennywise and Deadites! I love the references in this comic so much. Soooo... anybody heard about Las Pegasus Unicon? Yeah I heard about what happened. The fans stepped up and paid back the owed money and then some, a couple of charities got quite a bit of money from the auctions and donations. best and worst episode of season 3? For season 3 its a tie between Sleepless in Ponyville and Magic Duel for best and Spike at your Service is the worst. As for the whole show that is rather hard but I would have to say either Lesson Zero,Sleepless in Ponyville,The Cutie Mark Chronicles,It's About Time or Applebuck Season (which was the episode where I realized that I loved the show when I first started watching it.) Spike at your Service still wins for worst. However (as underrated as I think it is) The Mysterious Mare Do Well comes in a close second for that spot. Hm... well as much as I love them and Sombra, definitely not the season opener. Best for S3's probably either Sleepless in Ponyville or Wonderbolt Academy. Those are the ones I've re-watched the most. For worst episode... yeah, Spike at Your Service. I can't even decide the best or worst of the whole show. That's just too much. Adding to the question, what do y'all think are the best and worst songs of S3? My favorite song of the whole show is still Pinkie's Smile song. Season 3 might be Celestia's song but I'm not sure. My least favorite from season 3 is probably Bad Seed but it wasn't terrible.